Mysuru: Marine Engineer V. Steve Richard is the first successful Marine Engineer from the country on a voyage to North Pole. 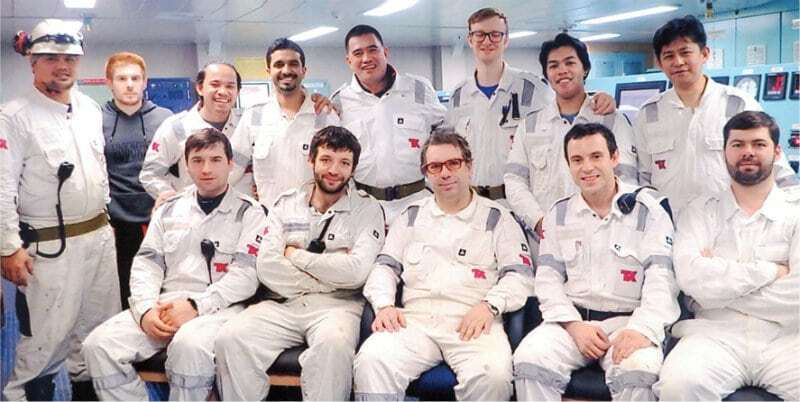 Richard is the Second Engineer onboard Arc7LNG Carrier Eudard Toll and he transited the wilderness and the harsh cold environment of the Arctic to the Yamal Peninsula in the northwest of Siberia, Russia. The maiden voyage as he recalls is an adventure of a lifetime (and a nightmare) to the North Pole en-route the Arctic Ocean to the Yamal Peninsula in the Arctic Circle. The ice-clad journey through the dark and bitter cold of minus 35-40 degrees witnessed no sunrise and only ice bergs, Arctic foxes, polar bears and the northern star, which lights up the night sky with varied colours-Aurora Borealis. No vessels transit the route during this part of the year as the ice is thick and the visibility poor. “It has been the coldest and the longest night of my life lasting three weeks and my new year is yet to see a sunrise,” said Richard. The elite team of the Eduard Toll is headed by the Russian Captain Andrey Solomakha and Italian Chief Engineer Salvatore Distefano. 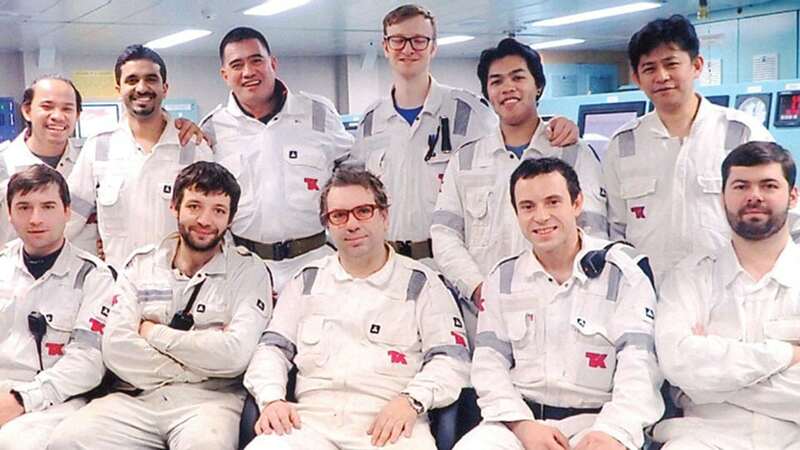 The officers onboard are Spanish, British, Italian and Russian, the crew are Filipinos. Steve is the only Indian onboard. He was born in Mysuru and studied in St. Joseph’s School, Jayalakshmipuram and graduated with BE – Mechanical from Vidyavardhaka College of Engineering. He was awarded the ‘Best Outgoing Student of the Mechanical Department’ for the year 2009. He later completed ‘Graduate Marine Engineering’ from Great Eastern Institute of Maritime Studies, Pune. He was therein campus recruited to Teekay as a Trainee-Marine Engineer and has been working here since 2010, rising in position to Second Engineer. He currently resides in Rajiv Nagar with his parents Elizebath Livero and George Varghese and wife, Carol Jyothi Lobo. V. Steve Richard (standing 4th from left) among the Navigating Officers onboard. Richard’s mother Elizebath Livero, speaking to Star of Mysore, said that he would return to Mysuru for a holiday in February after completing his voyage. “It is a pilot project and it is the first ship that South Korea built for this project,” she said. The vessel successfully loaded LNG (Liquified Natural Gas) at load port Sabetta, Yamal Peninsula on Jan.17 and is headed to Montoir, France to discharge. It is a dream by every seafarer to cross the Bering Strait and sail through the Northern Sea Route and Steve Richard is amongst the fortunate ones. Adding to that.. major contribution for Yamal LNG Plant automation is given by Yokogawa Bangalore office.. 20+ Engineers from Bangalore are working at sabetta for commissioning and start-up support at this extreme weather condition.